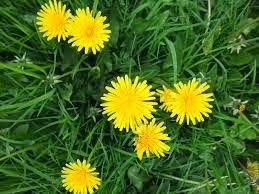 For many of us, it’s been something of a foregone conclusion that dandelions are bad for our lawns. Yet some lawn experts say it’s time to rethink our thinking about those no-good dandelions. Maybe it’s time for a dandelion debate. So what’s so great about dandelions? Those lawn experts who are pro-dandelion point to the fact that the dandelion is an important part of our ecosystem. They are often an early source of nutrients for honeybees during the early days of spring. Dandelions are also a great pollinating plant. Again, this goes back to those honeybees. If honeybees go away, the pollinators go away and the food cycle suffers. Dandelions are also one of the weeds that attract and provide food for butterflies? Everybody likes butterflies, right? When butterflies find food, they are more likely to lay eggs in that area. This could result in more butterflies in your garden. 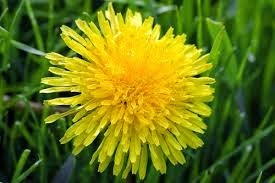 There is also thought that dandelions are good for lawns because of their roots. Dandelion roots are wide-spreading and help loosen hard-packed soil, aerate the ground and reduce erosion. Still, if dandelions are not your thing, put some thought into how you are going to get rid of those dandelions. And think about planting other types of plants or flowers that will attract the bees and the butterflies. Instead of spraying pesticides to get rid of the dandelions, try an herbicide instead. Don’t try and “dry out” the weeds. Remember, your lawn needs water to stay healthy, so don’t deviate from your watering schedule or alter the time on your water sprinkler timers. You can also dig up dandelions by hand, but it can be difficult to remove the entire root of the dandelion. If you decide to go this way, it’s probably a good idea to incorporate a screwdriver or dandelion weeder as part of the root removal process.